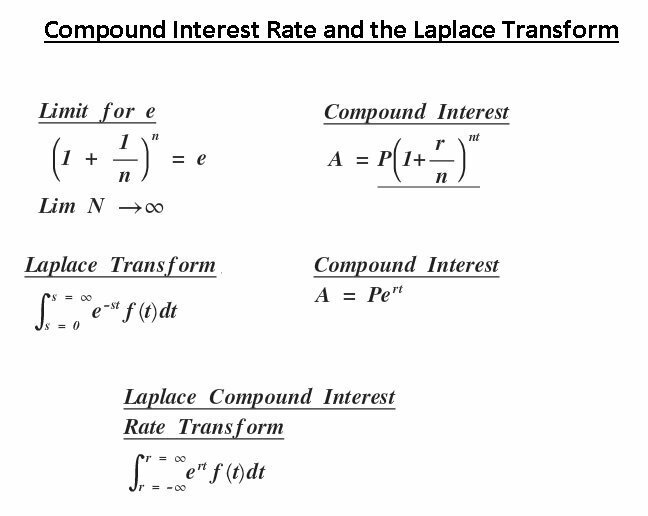 If you look carefully at the above proofs they demo straight that the compound interest rate function and the Laplace transform are virtually the same function. The only difference is the Laplace transform has an integration wrapped around it. The difference is the kernel of the compound interest rate function and the Laplace transform use a different letter for the exponent, that is s instead of r.
They are therefore the same formula and thus the same thing that is to say the laplace transform is an integration of the compound interest rate function. This also indicates that compound interest is by definition a complex number and thus can be translated to the complex plane and spectrographically analyzed on the s plane. So any impulse (transaction) will create point source interference that will propagate a wave front through the medium. If many impulses that is to say trades are applied to the medium (market) they will form interference patterns as each wave front decays over time. Where the interference is generated by the constant impulse responses from transactions that is taking an open position and closing it out at some future time. This will look very much like a chaotic system but don’t be fooled the reason markets form linear trend lines is because they are linear systems with a chaotic component as there inputs however the way the market reacts is what matters and that is a function of the elasticity of the market in question which remains relatively constant over time. More the point markets are specifically Moiré patterns. These Moiré patterns appear due to calibration problems inherent in the Roman calendar. If we are looking for a cycle that by definition has 360 degrees and we have 365 periods during which we can make 262 or so observations (trading days) we are going to introduce errors and beat frequencies into our measurements with out even knowing it. Why are we using a two thousand year old system of notation in the first place? I put it to you that every thing we know or at least every thing we think we know about money is just plain wrong and dangerous due to bad calibrations because we are using out dated measurement methods primarily the Roman calendar. With current many of the current modelling methods we are beaten before we started, the sun will run out of hydrogen before all the super computers in the world can solve the problem using inputs from the real economy. Not to say they do not have value from an investment point of view but from a price modelling point of view they are little value for pricing derivatives markets. Base ten is also not with out its problems when measuring something that we know to be inherently exponential in its behavior. You can see an example of this here in the gold price. 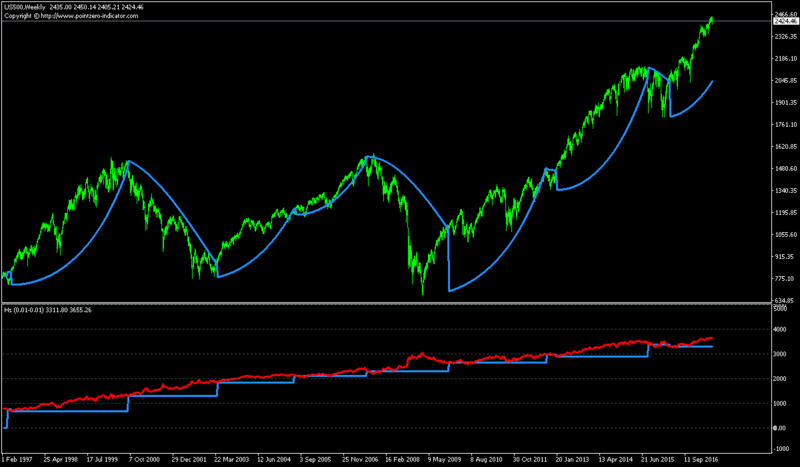 To put it simply the market has a resonant frequency that can be measured using the Laplace transform. So it is in fact possible to apply linear calculus to market behavior we have simply been using the wrong conceptual frame work for our observations. Selected Growth decay rate as step functions converted into a track records. The above chart is a simple process control function as a single contract track record for the last twenty years the lower panel is the profit per contract traded. Markets are an elastic medium this is basic economics and are only partially random as such, the inputs maybe a random series of investment decisions. However the overall motion of the market is the result of the superposition of the sum of the impulse responses of all of the trading for a given period when applied to the elastic medium of market. This presents the basis for an improvement in many of the current investment formulas that are taken as gospel at this time by applying a number of well know engineer Technics that are considered outside of the scope current financial theory.